National Aptitude Test NAT is an admission test for the undergraduate programs in University level that are held by NTS. Most of the universities in Pakistan assign the National Testing Service for the Commencement of National Aptitude Test NAT for the admission in their various programs. NAT scores are used by many of Pakistani institutions as an evaluation criteria factor for admission in Bachelor and Master level admissions. 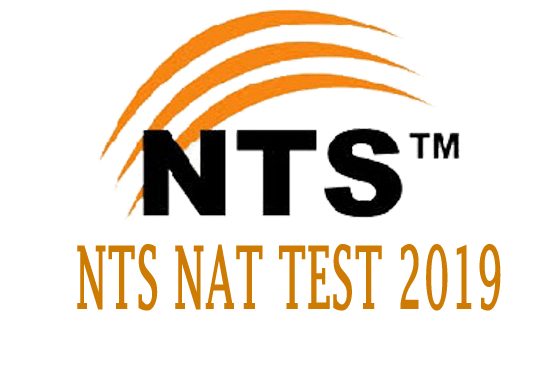 National Aptitude Test NAT is for admissions in NTS Associated Universities / DAIs. The candidates will appear in a single test only and will stand eligible for admission to all universities in the respective subject group. The candidates who want to get admission in any university and they fulfill the eligibility criteria they must apply online for NTS NAT 2019 Test. NAT test are held one in a year according to a regular schedule while other tests are organized by the testing service according to requirement while different tests are held every month. Once you will clear the NTS Test then your score card validity will be for 1 year, It means after the nts test clearance you can apply for admission within 1 year, After that you should clear again next nat test so below we provided you the NTS NAT Test Preparation Online You can get prepared for the test at your home. The Following Test are provided below. National Aptitude Test (NAT) is for admissions in NTS associated universities / DAIs (degree awarding institutes). The candidates will appear in a single test only and will stand eligible for admission to all universities in the respective subject group.